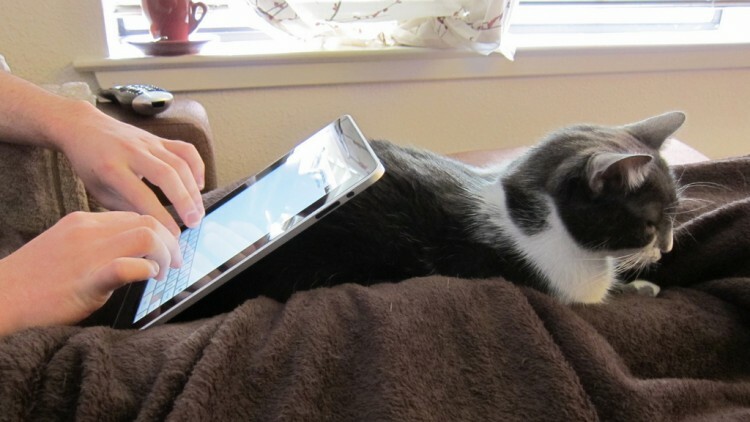 Do you use your iPad or Android tablet for at least a few hours a day? Now you can get paid while you use your device, and most of the time all you’ve got to do is install an app and keep it running. If you’re anything like most iPad or Android tablet owners, chances are your device is running for at least a few hours a day while you’re watching videos, catching up on social networks, reading books, or more likely just keeping your kids busy. Guess what? You could be getting paid that entire time! And best of all, you really don’t have to do much more than installing an app or two. How can I get paid for using my iPad or Android Tablet? With iPads and Android tablets becoming more and more popular, big brands are curious to know how consumers like you use these devices in your daily life. To help these brands, market research companies have created apps that can track your iPad or tablet usage, while offering you cash and other rewards in return. Best of all, every legitimate app that pays is 100% free and in most cases these apps offer you a true “passive income” opportunity — you can earn by simply installing the app, keeping it running, and agreeing to have your usage tracked. What are the best iPad and Android Tablet apps that pay? Glad you asked! In no particular order, here are some of our favorite apps that pay you for using your iPad or Android Tablet. MobileXpresssion is one of the most popular ways to make extra bucks with a mobile device. Although they have a limited amount of openings for Android and iPhone users, if you’ve got an iPad it’s much easier to get accepted. You’ll get an instant $5 gift card for downloading and installing MobileXpresssion on an iPad, plus a chance to earn passive income including cash, gift cards, and sweeps entries. Simply download the app, let it run in the background, and you’re all set. Inbox Dollars has been around for a long time, but despite being an “old dog” they’ve certainly learned some new tricks. The Inbox Dollars mobile app is well-optimized for tablet users, and the automatic $5 bonus for simply trying the app doesn’t hurt either. Don’t plan on retiring off your earnings from the Inbox Dollars app, but you can earn real cash for simply browsing the web, playing games, and taking occasional surveys that don’t even require you to type. i-Say is operated by market research giant Ipsos so you can expect to participate in market research projects for major brands like Coca-Cola and McDonald’s while earning up to $3 for each tablet survey you complete. i-Say Mobile’s tablet app is second to none and receives high praise from survey takers. You can choose the type of surveys you would like to take and there are even location-based activities like taking pictures in stores to earn extra cash. Swagbucks is one of the largest reward sites in the world and they certainly haven’t neglected their iPad and tablet users. Earn points with the SwagbucksTV app by doing things like watching fresh movie trailers, celebrity videos, news, and comedy clips. In addition to the various “get paid to” opportunities, users can also participate in daily polls that require no typing at all. It only takes $5 worth of points at Swagbucks to cash out for gift cards. Smart Panel is what’s known as a “passive income” program. You simply download their app and it tracks your device usage anonymously. Only your general data is collected, none of which is personal, so you don’t have to worry about any privacy issues. Get $15 within a week and $5 for every month you have the apps installed. Automatically receive your rewards without having to request a payout. Download the app, let it run, and get paid! A long-time player in the paid survey industry, Survey Savvy has been making innovative strides to incorporate mobile device and especially tablet support into their market research programs. The Survey Savvy Connect tablet app is effective at delivering daily surveys worth up to $3, but the true money-making opportunity here is what the company calls “Project Gold.” Install their app, keep it active for 90 days, and you’ll get a solid payout of $60. Since most people access the Internet on smartphone and computers, tablets are a bit of a rarity. That’s good news for you, since it makes your opinion a bit more valuable to big brands and market research companies. Whether you’re relaxing before bed, waiting in line at the DMV, or slacking off at work, you could be earning just for using your iPad or Android tablet. Why not try a couple of these great apps today? P.S. If you’re looking for even more ways to earn, and you have a smartphone too, don’t miss our earlier posts including 5 Must-Have Apps for Making Money and 3 More Must-Have Apps for Making Money.